David Copperfield Found Negligent But Won't Pay For Injury During Magic Act : The Two-Way A British tourist sued the famed illusionist, saying he suffered a serious brain injury after falling while acting as a volunteer for an onstage trick in 2013. Although he is not financially responsible, illusionist David Copperfield still paid a steep price: His lawyers were unable to prevent the disclosure of secrets about the illusion in question, known as "Lucky #13." It is a qualified victory for Copperfield, but it still comes at a steep price: His lawyers were unable to prevent the disclosure of secrets about the illusion in question, known as "Lucky #13." The mechanics of the act seem remarkably pedestrian — as in, it involved a lot of walking (and running) around for those who volunteered to "disappear." According to the Las Vegas Review-Journal, "Cox was among 12 other volunteers who seemed to disappear from Copperfield's elevated stage, when in reality, they were whisked off the platform by flashlight-wielding stagehands." The Associated Press adds that "the randomly chosen participants [were ushered] past dark curtains, down passageways, around corners, outdoors, indoors and through an MGM Grand resort kitchen to re-enter the theater for the show's finale, according to testimony." At some point during all of that, Cox says he was exhorted by stagehands to "Run! Run! Run!" through an outdoor alleyway coated with construction dust. That was when he slipped and fell. "I was having a good time up until the time I was injured," he testified. Cox, 57, a former chef from Kent, England, says he fell hard on his right side and didn't remember getting up to finish the illusion, according to AP. He says he suffered a brain injury and racked up more than $400,000 in medical bills. He sued not only Copperfield but also MGM Grand hotel, two Copperfield business entities and a construction firm renovating the hotel (apparently, the source of the "construction dust"). Cox's attorney, Benedict Morelli, argued that the Lucky #13 trick was inherently dangerous. 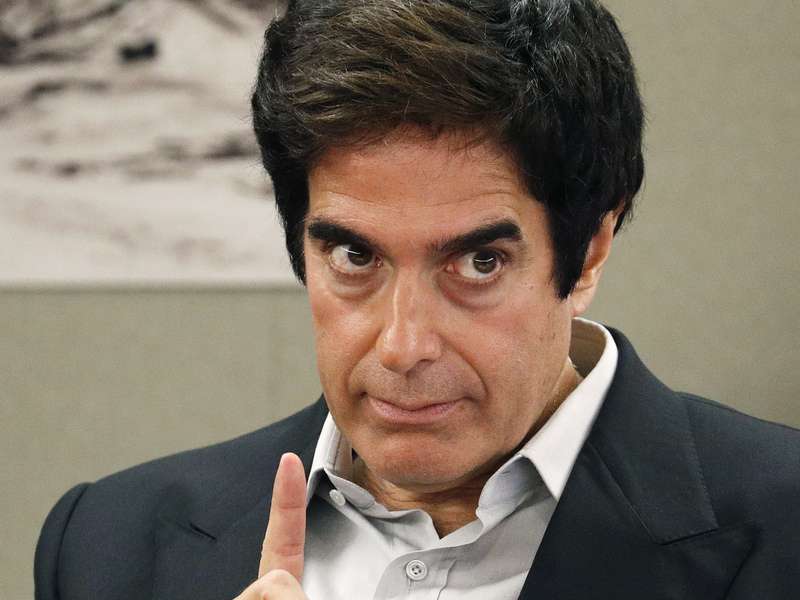 Lawyers for Copperfield and MGM workers countered "that Cox had exaggerated his injuries and deceived jurors about suffering from traumatic brain damage. Cox occasionally has walked in and out of court with the assistance of family. Defense attorneys played video of him outside of court, walking unassisted," according to the Review-Journal. Despite being found negligent, jurors found no liability for Copperfield and the other defendants and that Cox was "100 percent responsible" for his injuries — meaning he cannot seek monetary damages, AP writes. Copperfield attorney Elaine Fresch said the result was "the right verdict," according to the Review-Journal, while MGM attorney Jerry Popovich said the verdict "appears to indicate what we had argued, which is this was an unfortunate accident."